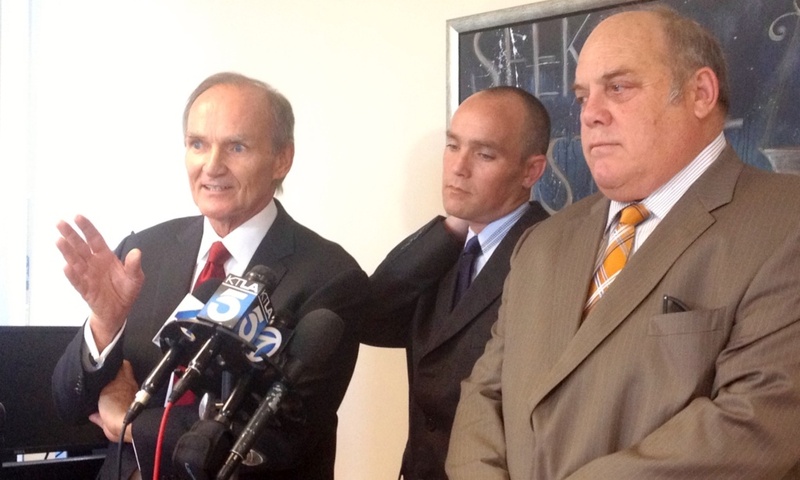 Attorneys Robert Sheahen (left) and Dan Melnick (right) announce a lawsuit filed against the City of Torrance on behalf of their client David Perdue (center) who was rammed into and shot at mistakenly by two Torrance police officers during the search for Christopher Dorner. June 18, 2013. A Torrance police officer who shot at a pick-up during the search last year for ex-LAPD Officer Christopher Dorner will not face criminal charges. The Los Angeles County District Attorney Office declined to file criminal charges against Torrance police officer Brian McGee who fired at least three rounds at an innocent driver on Feb. 7, 2013. In a 16-page review of the case made public on Tuesday, the district attorney’s office states “a reasonable mistake of fact” was made. At the time, law enforcement across Southern California had been searching for Dorner who was suspected of killing two people and threatened to kill other LAPD officers and their families. David Perdue, 39, was headed to a friend’s house around 5 a.m. and then to the beach for an early morning surf session. He happened to drive through a neighborhood patrolled by four Torrance police officers assigned to guard the home of a Los Angeles Police Department captain. 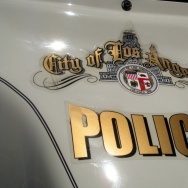 At nearly the same time that morning, a team of LAPD officers had mistakenly opened fire on a blue Toyota pick-up truck driven by two women who were delivering newspapers in the neighborhood. It was not far from where the Torrance police officers were stationed. Perdue was stopped by two Torrance police officers and after some questioning was told to take another route. He made a U-turn and started driving down the road when a Torrance police car, that officers Brian McGee and Erin Sooper were driving, intentionally rammed into Perdue’s dark-colored Honda Ridgeline truck. According to the review written by Deputy District Attorney Geoffrey Rendon, Sooper exited the police car after the crash while McGee’s car door was jammed shut. Armed with a rifle, Sooper took a shooting position near the front passenger side, but could not see into the truck’s cabin, the review states. So she moved to the driver’s side hood area of the patrol car. Sooper didn’t fire any gunshots. McGee then forced open his door and fired three gunshots through the driver’s side window of the truck, according to the DA’s review. Perdue was not hit, but was injured in the crash. He’s now suing the City of Torrance, alleging his injuries are so severe that he cannot return to his previous job as an airport baggace handler. His attorney Todd Thibodo disagreed with district attorney's office conclusion. The lawyer said he believes McGee had time to determine who was inside the truck before firing. “[Sooper] was moving around for several seconds outside the vehicle before her partner McGee got out and fired,” Thibodo said. Attorneys for Perdue dispute specific details in the DA’s review about “the high rate of speed” Perdue is alleged to have been driving and how many shots were fired. 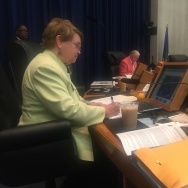 The DA’s review is based on reports prepared by Torrance police, which includes pictures, audio-recorded interviews with witnesses, radio transmissions, and a statement from McGee. 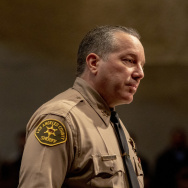 Deputy District Attorney Rendon wrote “McGee’s actions are analyzed based on the totality of circumstances,” which include Dorner’s manifesto and his threats toward law enforcement, the ex-cops tactical training, his firing upon Riverside police officers earlier, the suspected double homicide, and police briefings the two Torrance police officers attended where Dorner’s picture and truck description was provided. 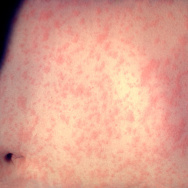 Those preceding events “gave rise to an atmosphere of fear and extreme anticipation," the DA's review said. The city of Torrance has reimbursed Perdue $20,000 for his damaged truck. The two sides had been in mediation for months trying to agree on a settlement to the civil lawsuit, but none has been reached. A trial date is set for August. A spokesperson for the Torrance Police Department said officer Brian McGee is back to work, but has been assigned to another position within the department. An internal administrative review of the shooting is still underway. Christopher Dorner died Feb. 12 during a gunfight with San Bernardino County Sheriff’s Department deputies at a mountain cabin that burned to the ground in Big Bear. Officials said the autopsy showed Dorner died of a self-inflicted gunshot wound to the head.